The stepfield consists of three different heights of blocks. 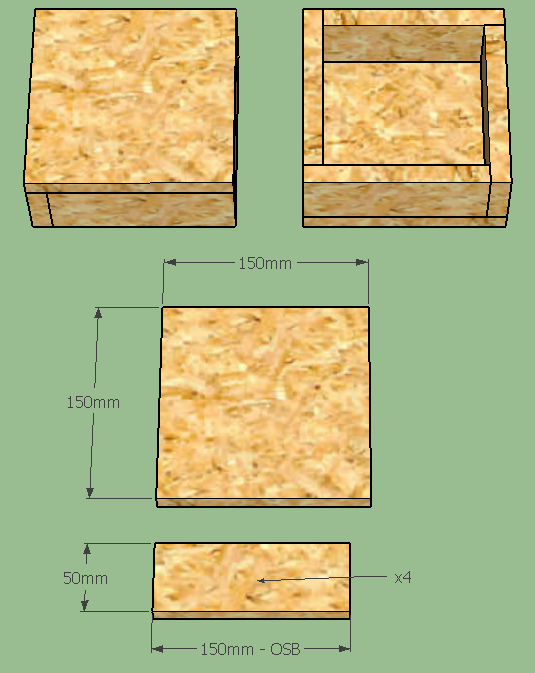 The 0 height blocks are simply a sheet of OSB, nominally 15mm thick, 150 x 150 mm (6 x 6 in) in size. 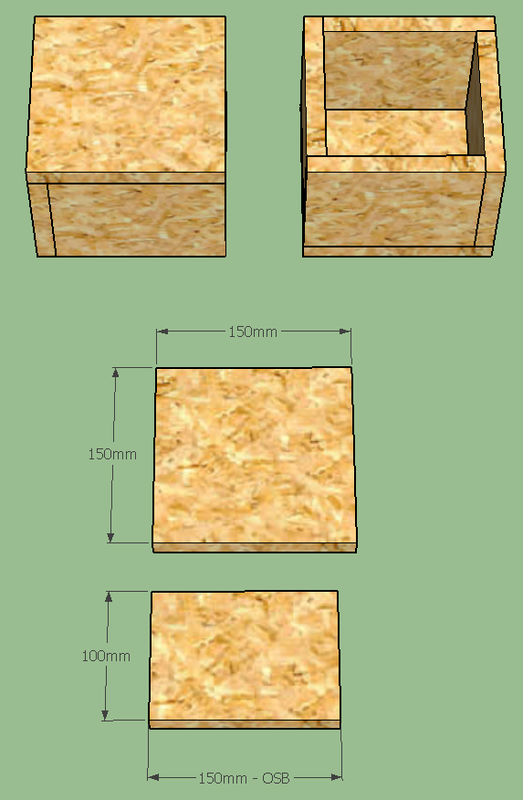 The blocks should be nailed or stapled together, and optionally glued for durability. Screws should be used carefully to avoid splitting the OSB.